You are here: Home / Las Vegas Dental Blog / Dental Services / Why choose a family dentist? These days, like everything else, finding a dentist can feel complicated. There are so many different types of dentists to choose from. You can choose between general dentists, pediatric dentists, cosmetic dentists, and family dentists, just to name a few. How do you decide which dentist is the right one for you? And what about the other members of your family? What do different kinds of dentists do? Most of us want a dentist to help us keep our teeth healthy and take care of problems before they become painful, harmful or expensive. We need a dentist who can clean, examine and make minor repairs, like fillings. But we also want a dentist who can help when we need to make bigger choices like: does my child need braces? Am I dealing with gum disease and what should I do to reduce it? And, ouch, why do I need a root canal? What most of us need is someone who practices general dentistry and is trained in all these areas, even if he or she may not specialize in them. A general dentist does not specialize in any one thing but can cover most general types of dental work, such as cleanings, fillings, etc. Other types of dentists may specialize in certain areas. This includes pediatric dentists, who specialize in dental care only for children and adolescents. Cosmetic dentists work on making your teeth look nicer, using treatments such as dentures, braces, implants, crowns, and bridges to help you restore your confidence to smile again. Other specialists include orthodontists (braces), periodontist (gum disease), endodontists (soft tissue care, such as root canals) and so on. Specialists are usually only needed if referred by your regular dentist. Because their services are specialized, they won’t be a one-stop shop for your basic regular dental needs. That’s where a good family dentist comes in. 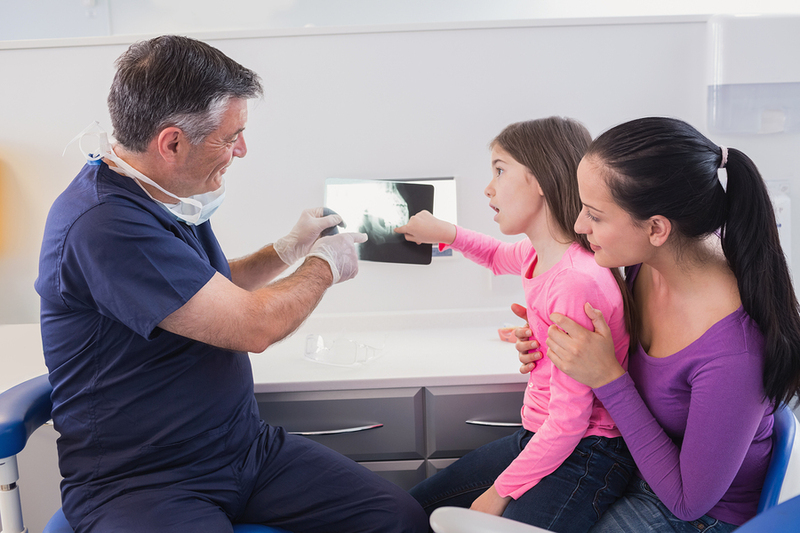 For busy families, finding a trusted family dentist can be a great decision. A family dentist specializes in care for all age ranges, from infant to elderly, so everyone can see the same dentist. And, as time goes by, there’s no need to change dentists. The dentist knows your family and can help look out for each of you as you reach milestones, from the baby’s first tooth, to how to care for your gums as you age, to granddad’s first implant. Trusted advisor: When you have a single family dentist, you’ll get to know the dentist and the office team and they’ll know you and your family. If you have questions or advice, they’ll be able to help faster than a stranger who may not have your dental history. Your children will be able to get to know their dentist from a young age. This familiarity will help make them more comfortable with dental visits. They’ll find it easier to talk to “their” dentist and ask questions. By the time they enter the dreaded teen years, they’ll have built the trust they need to take the dentist’s advice and practice the good dental habits he has instilled in them over the years. This goes for busy adults too. Your family dentist will be happy to remind you of a missed visit or how you’ve forgotten that regular flossing routine he taught you last year. Save time: It can be really hard to try to schedule and keep track of different appointments for different family members. If you have several different dentists to handle care for your elderly parents, the orthodontist for your teens, general dentist for yourself and your spouse, and pediatric dentist for your little ones, that can add up to a lot of time, planning and running around, including time off work, just to get everyone to the dentist. With a single family dentist, you can schedule appointments for one or more family members at the same time to make the most of the visit. Stay organized: In a household, it can be hard to keep track of everyone’s dental records and appointments. When you go to the same family dentist, it’s easier to keep track of everyone’s dental cleanings and other work. Also, when the same dentist sees everyone in the family, he or she can identify patterns of dental problems that arise due to a family’s genetic history. You don’t get this when you see different doctors at different locations. Get all the work done at one place: Some people only need routine maintenance for their teeth. Others might require more extensive work with braces, root canals, or wisdom teeth extraction. When you visit a family dentist that offers a wide variety of options, including cosmetic dentistry, you can get it all done in one place. While one family member is having their braces put on, another family member can be getting their teeth cleaned. It’s always easier for children to visit a dentist knowing that their parents are nearby and that their parents are getting work done, too. And, when you have a one-stop dentist office, you can more easily work out scheduling for everyone and have the team help you space out any major work to maximize your insurance coverage, plan your expenditures and minimize pain to your pocketbook. With regular preventive care in a supportive and familiar environment, everyone in the family will develop good dental habits and stay confident of their smile all day long. Dr. Medina is a family dentist in Las Vegas, offering a full range of dental services for the whole family, including regular checkups and teeth cleanings, fillings, braces, tooth restoration, dentures, bridges, and a wide variety of other treatments. Whether you are looking to establish regular family care, need to make an emergency appointment, or are looking at options for cosmetic dentistry, Dr. Medina, and his friendly team offer something for every member of the family, all in one place. Give Dr. Medina’s office a call today at 702-368-3627 for more information or to set up an appointment with Dr. Medina. Or, save time and request an appointment online. 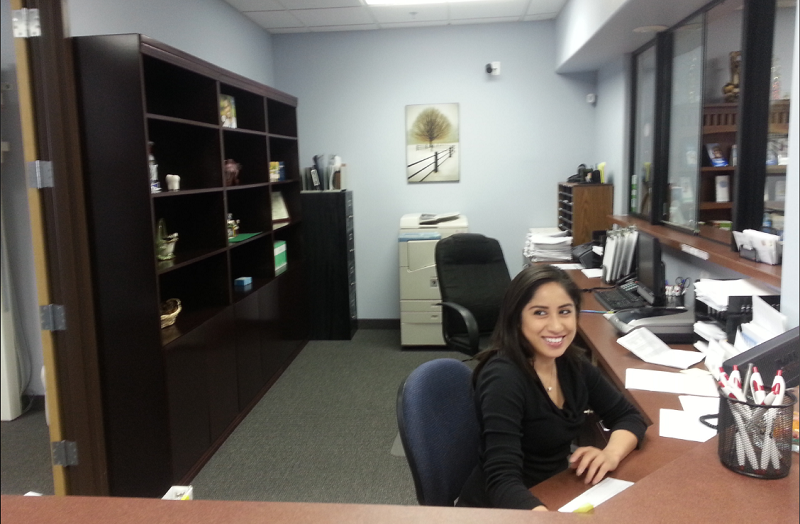 See why so many people in Las Vegas choose Dr. Medina for their family’s dental care. http://www.drjesusmedinajrdds.com/wp-content/uploads/2017/10/bigstock-Pediatric-dentist-explaining-t-80633648-1.jpg 600 900 Dr. Jesus Medina Jr., DDS http://www.drjesusmedinajrdds.com/wp-content/uploads/2018/03/logo-Medina2.png Dr. Jesus Medina Jr., DDS2017-10-17 17:03:152018-10-09 16:36:49Why choose a family dentist?